Tech Green’s fences have come down several months earlier than expected, effectively reopening the public green space Oct. 27. Though the fences are down, Tech Green is technically only available for “leisure use,” referring to informal activities and pedestrian foot traffic. Large organized events, such as sporting matches and organized tailgating, are still prohibited while the grass’ root system continues to develop; large tents and other event equipment could reverse the work which has already been done to acclimate the grass to its environment. Particular care will be taken to ensure that Tech Green is protected during and after rainfall, when the ground is saturated and more susceptible to damage. The Green is expected to reopen to organized events after the winter months, which send the grass into dormancy. When warmer weather resumes and the grass returns to its normal state, it is likely that formally-scheduled events will return. The Landscape Services department of Facilities Management will monitor the grass but estimates it will be ready in late spring or early summer 2017. The project to rework Tech Green began in Feb. 2016, initially to correct drainage issues, as well as rezone irrigation and implement better soil and a stronger grass species. 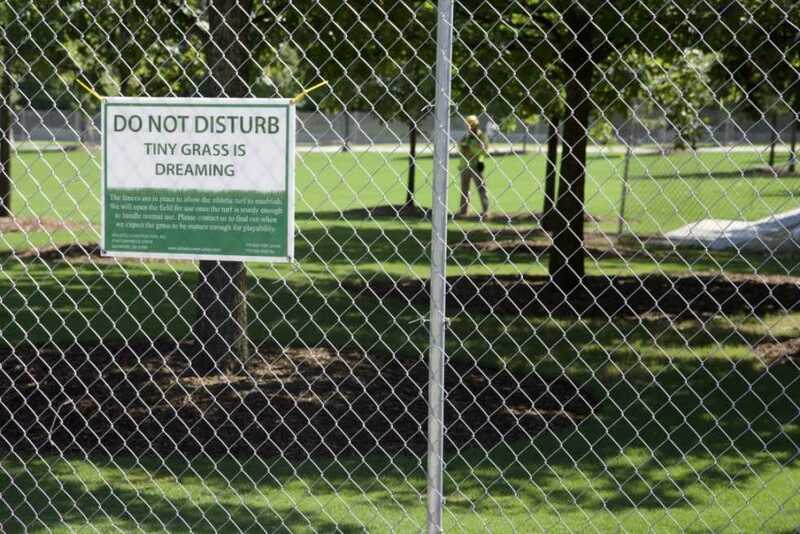 Though construction was initially scheduled to be completed in May 2016, Facilities Management delayed the reopening until Aug. 15 to permit the newly-planted grass to re-root. Facilities pushed the reopening back in late August, however, and stated that the grass needed to be protected throughout football season and during the period of colder weather.